Cannon Street / Kidgate / Northgate / Co-op off Northgate / Queen Street / Broadbank / Kiln Lane / Newmarket / Eastgate. Louth Town Hall, Cannon Street. This is not a comprehensive list of all amenities available in Louth. The town of Louth in Lincolnshire has a special quality that is rarely found in modern England. Louth has retained its medieval street plan and avoided the town centre changes that have spoilt many of England’s market towns. Shoppers visit Louth because it offers an alternative to the vast shopping malls and identical high streets elsewhere and they can enjoy a variety of tearooms, cafes, restaurants, pubs and hotels with something to suit all tastes and budgets. As you would expect from a market town, Louth hosts a variety of markets including regular weekly (Wednesdays, Fridays & Saturdays), a cattle market, monthly farmers’ markets, and thriving Victorian and Christmas Sunday Markets when thousands of visitors come to soak up the atmosphere and to buy special gifts. The town has many butchers, bakers, cheese shops, delicatessens and greengrocers all selling fresh, high quality, local produce. Many visitors to Louth enjoy a break to take a look around the attractions that our historic town has to offer. St. James's Church is a magnificent and widely admired example of church architecture with its 16th century spire soaring to 295 feet, making it the tallest parish church spire in England. Louth is one of the few significant settlements sited on the international meridian line - in Eastgate just east of the Northgate junction it is marked by a brass plaque - the Greenwich Meridian of 0 degrees longitude which enables you to stand with one foot in the western hemisphere and the other in the eastern hemisphere which is where the name of our Zero Degrees Festival is taken. The Museum on Broadbank showcases the history of the town including its involvement in the crafts and trades of yesteryear. Spout Yard is a wonderful oasis where children can play and shoppers can take a peaceful riverside break. Throughout the year family events are held at Spout Yard with a cafe and art gallery and it has become a honey-pot of activity. At Riverhead at the eastern end of the town, there is the 1770 Louth Navigation Canal which is a really popular area for dog walkers, stopping off at one of the dog walker pubs on the way back. At the western end of the town are the delightful Westgate Fields and Hubbard's Hills public park, providing a pleasant and relaxing environment with open spaces and wooded scenery. 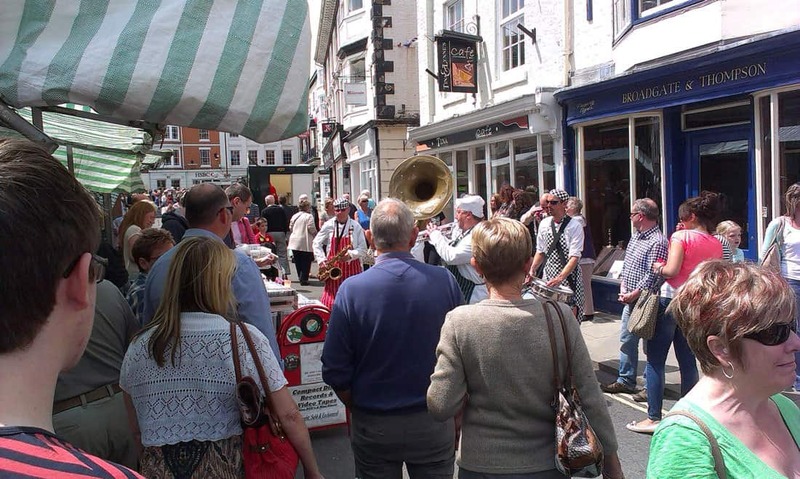 With a cinema, Riverhead Theatre, many music venues including the imposing Town Hall, and a multitude of restaurants, pubs and clubs, the night life is Louth is vibrant, people visiting from surrounding towns to enjoy what we offer. The relatively traffic-free roads mean that you can enjoy your taking in views of the Wolds Area of Outstanding Natural Beauty – Louth’s idyllic rural setting.